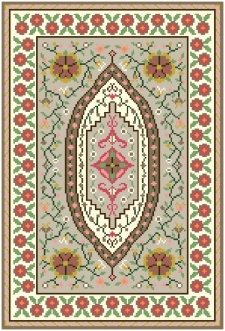 A light-hearted yet classic-styled rug which has nine colours; two shades of salmon, a bit of brown and gold, two shades of green, cream all on two shades of a greige background. 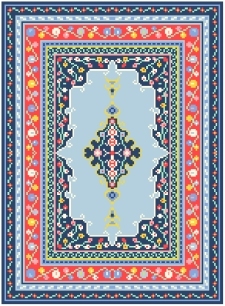 The Anatol rug is mainly comprised of three shades of the truest blues with a complimentary green. A classic red creates a lively border with addtional colours of gold, salmon and cream. 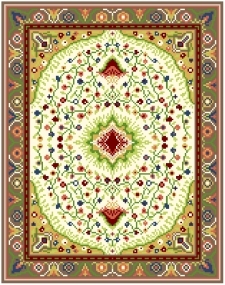 This lovely rug uses nine colours creating a richness and warmth to any room. Generally comprised of darker shades of pastels intrically worked into a flowered pattern on a mainly cream and greige background. 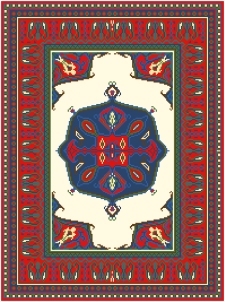 The Cream Daghestan Runner is all about bringing spring and summer inside with eight colours. If you prefer a different colour background, please note this in the Comments section of the order. The colours of red, blues, green, brown, gold and cream, gives this Turkish rug the excellence to make a statement in any room. If you prefer two different colour backgrounds, please don't hesitate to let me know.